Really beyond compare is the power to allure the audience of the praiseworthiness or vice versa the lack of worthiness of the subject being discussed. The latter is often called a true fire-and-brimstone sermon. A ceremonial speech or ostentatiousness public speaking is an expression of praise or blame, celebration or thanksgiving, condemnation or mourning. Formal and lofty are the key terms and they stress that sharing of identities and values that unites people into communities. Retrieved from Osborn and Osborn (1994), they are considered influential gurus of the study of the modern rhetorica elements basedd on ancient old wisdom and experiences. 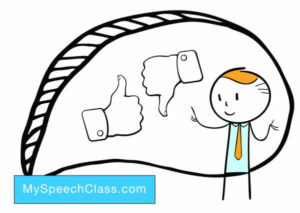 Examples of speeches with epideictic contest-like elements are praising, blaming or celebrating a birthday, wedding roasts and toasts, eulogies or funeral speeches, farewell addresses, political and Fourth of July orations. person – Rosa Parks for her act of protest against the segregation on city public transit vehicles which strengthens the America’s civil rights movement. group – Sessions of meditation groups in order to transmit powerful spiritual energy for the benefit of humanity. idea – Praise in public and criticize in private, as Russian empress Catherine II teached. person – Britney Spears for attracting aggressive news paper paparazzi in down town Los Angeles because of her behavior. organization – Blame the commercial and investment banks that are responsible for the ongoing financial meltdown. theory – The idea of correcting injustices of governments in history, because it will causes modern problems. person – Nobel Peace Prize 1983 winner Lech Walesa, the Polish worker from the Gdansk Shipyard who negotiated the transition from communism to democracy. group – Wedding ceremony attendees generate feelings of closeness and community. idea – Sharing grief is the best recipe for emotional healing. value – The most effective Thanksgiving epideictic speech topics praise and welcome the feeling to be surrounded and supported by close friends at the dinner table. c. Take into account that favorably inclined, antagonistic or even indifferent listeners indicates the way you have to convince. My own humble nowadays tips are not very complicated. Look at the attitude and behavor wheel above. It is a dozens of centuries old proven classical conceptual approach – testes in the streets of Greece before B C E. Be concrete and personal in examples you offer to advocate for the statement. Use simple and active language and repeat words and phrases. The I Have a Dream Speech of Dr. Marin Luther King Jr displays very well the need to apply the figure of repetition to fortify epideictic speech topics. Cite this article as: Jim Peterson, "Epideictic Speech [Topics and Examples]," in My Speech Class, May 14, 2018, http://www.myspeechclass.com/epideictic-speech-topics.html.